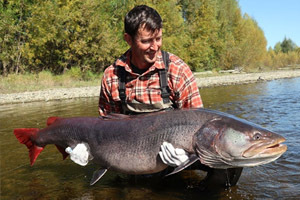 Dr. Matthew Sloat potentially set the new All-Tackle world record for taimen (Hucho taimen) with this massive 45.8-kilogram (101-pound) fish that he caught and released on September 21, 2018 while fishing Russia's Tugur River. Dr. Sloat was fly fishing and needed only 20 minutes to land the fish after it ate the custom grayling fly he was casting. The current All-Tackle world record currently stands at 41.95 kilograms (92 pounds, 8 ounces). 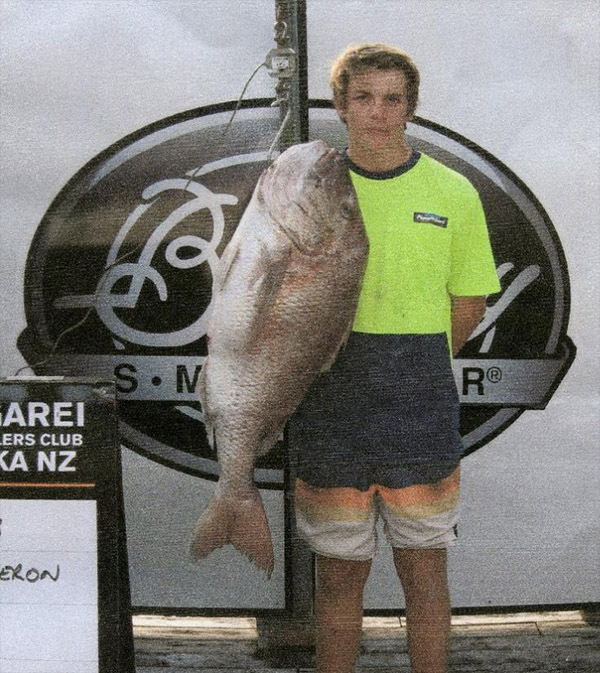 Kiwi angler Zak Cameron potentially set the new Male Junior world record for snapper (squirefish) (Pagrus auratus) with this impressive 13.24-kilogram (29-pound, 4-ounce) fish that he caught on October 20, 2018. Cameron was fishing out of Bay of Islands, New Zealand and needed 15 minutes to land the fish after it ate the soft plastic he was casting. If approved, the catch will replace the existing record of 13.16 kilograms (29 pounds). 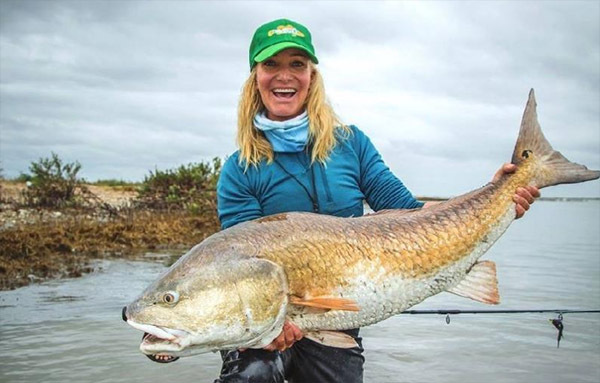 IGFA Representative Meredith Jane McCord caught and released this 18.54-kilogram (40-pound, 14-ounce) red drum (Sciaenops ocellatus) on November 29, 2018 to potentially set the new women's 8-pound tippet class world record. McCord was fishing with Camp Walker in the shallow waters of Louisiana and needed approximately 15 minutes to land the potential record redfish. The current world record stands at 14.51 kilograms (32 pounds, 8 ounces). 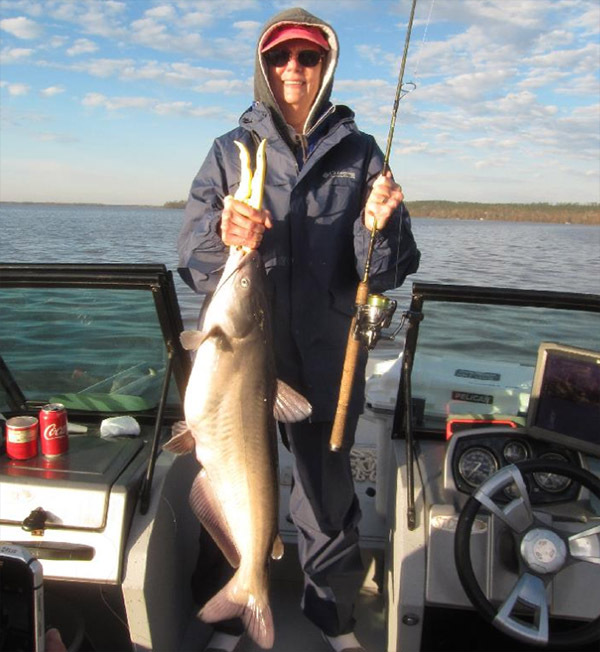 Vicki Martin caught and released this 17-pound, 8-ounce blue catfish (Ictalurus furcatus) on November 22, 2018 while fishing Lake Seminole, Florida. Fishing with light tackle, Martin needed 15 minutes to land the potential record catfish after it ate the bait she was using. If approved, the catch will replace the existing women's 6 kg (12 lb) which currently stands at 6.58 kilograms (14 pounds, 8 ounces).